Part One - Restaurant email marketing - Who should I send to? In 1971, the first ever email was sent by computer programmer Ray Tomlinson; a test message to himself. Nearly half a century later, email persists and is one of the most personal, targeted and powerful marketing tools. Venues often spend thousands on print, radio or TV campaigns, forgetting email is an inexpensive way to engage customers. Email campaigns can be used to build a relationship, encourage repeat reservations and track diner behaviour. We’ve put together a guide on restaurant email marketing: the who, what, why and when on getting the most from your database. You can spend hours crafting the perfect email, but sent to a dated database or disinterested audience it will quickly be rendered useless. ResDiary recognises this and helps our clients get the most from their email marketing. Every customer who makes a booking at your restaurant can opt in to your database to receive future marketing emails. We believe people who have dined with you before and had a positive experience will be more interested in your emails, responding positively to them. With the right messaging, this can turn a first time visitor into a loyal customer. Quality over quantity. It might seem like a good idea to send out an email to thousands of addresses but having a targeted, engaged list is crucial. If you have a database you haven’t contacted in a while, email a re-introduction. Ask their permission to keep them on your database and receive your future emails. Ask preferences on what kind of news they want to receive. Do they want to see everything or just special offers/events? 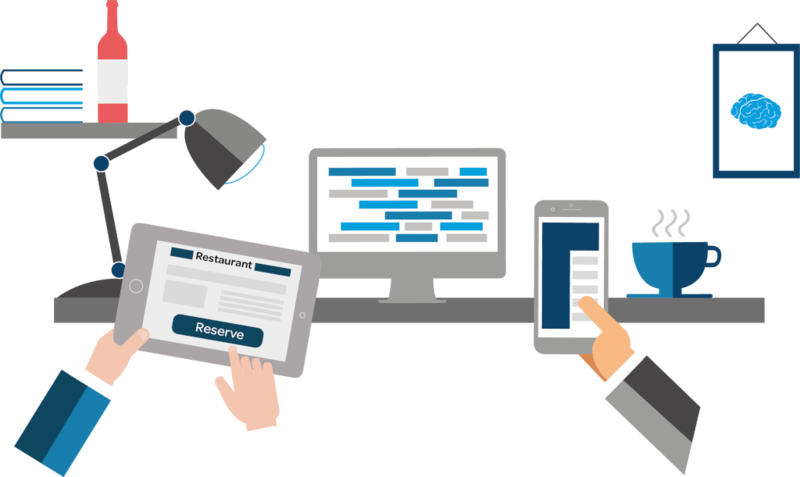 Give online diners the option to opt in to marketing communications and stay up to date with all the latest from your restaurant – this happens automatically with ResDiary. Make it easy to sign up to your list – add email signup forms to your website and social media pages. Some email providers let you target customers based on age, gender, postcode, number of bookings over a time-frame or by customer status or tags. If you use ResDiary you can check back on who has booked certain promotions, pull their email addresses from the system and target those customers. Remember, your message needs to be relevant and engaging, so the more targeted you can be then the greater the chance of a successful campaign. From May 2018, new regulations on data protection will be put in place. They strengthen consumer privacy rights and clear up any uncertainty over the consent needed for using your customer’s data. Basically, the customer needs to specifically give you the right to use their data. They can also ask to be deleted from all databases that you hold their information on. Building a clean, engaged database is just the first step. Once you have it, you need to work at keeping it, ensuring that what you send is relevant and interesting to your consumer. Our next post will cover how the content you send affects your database and therefore, your chances of gaining extra bookings.